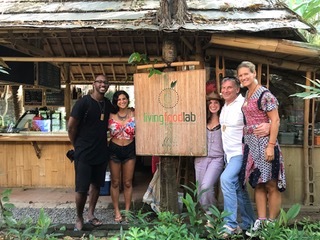 Living Food Lab at the Green School is a vegan café that serves the school community: the students, the parents, the teachers, and the admin. It’s a friendly place where we know our customers by name and most of the times we already know what they want to order before they even ask. 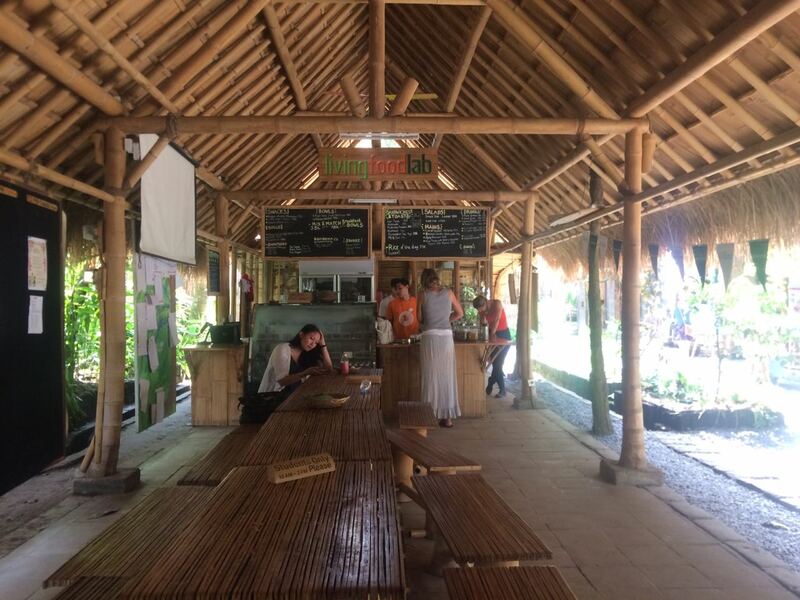 We often refer to the cafe as a warung, which is a small restaurant or cafe in Indonesia. When Arttu and I took over the warung, we wanted to make sure that it represented a constant conversation with the community. Our strategy was – and still is – to ask lots of questions: do you like the food, what don’t you like about the menu, do you want to add something to the menu? We also want to serve our community food that is nourishing and nurturing. We strongly believe that a nourishing diet can give us more clarity of mind, strength of body and joy of spirit. Why “eat to deplete” when we can “eat to feel complete”? We are sure that all of the community can be more productive, energised and happy with wholesome food like ours. 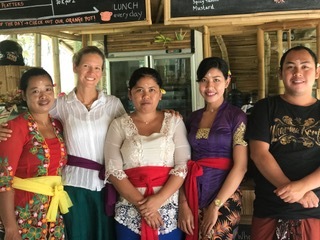 At the warung, our guests get to customize their own smoothie bowls and salads. It’s a space of creativity to choose which type of granola, smoothie, nuts, seeds, and super foods they want to put into their smoothie bowls or which kind of base, toppings and dressings to create their salads from. We also do classes for kids, sometimes up to 50 students at a time. That’s certainly a lot of kids, but we have the energy and the desire to spread the word about delicious and good healthy food. It’s a privilege to serve the Green School community and we love to be at their service. 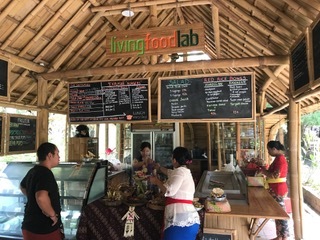 Living Food Lab at the Green School is open from 7:45am-5pm on school days and it’s only open to the School Community.